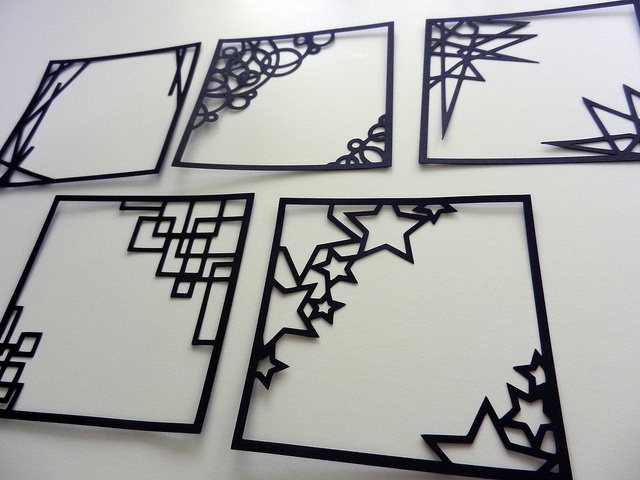 I recently acquired a new toy – a Silhouette Cameo cutting machine. This is the first cutting machine I have owned, and it is awesome! I love being able to make paper cutouts of my own designs. After doing some test shapes, I designed these five square picture frames with the idea that I could add them to print-outs of my Instagram photos before pasting them into my journal or on a card. I think they turned out pretty sweet! 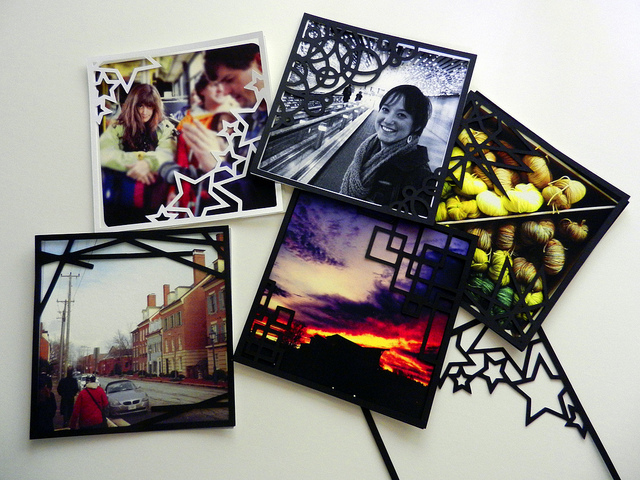 These are great for art journaling, scrapbooking, or making your own cards or photo album. The main idea behind these is to use them specifically for Instagram photos, or square format photos taken with a mobile camera app, but you can use these to frame anything square, or even use them as part of an abstract collage. I am pasting mine into my smash journal. I made these 4″x4″ and they are very cute. If you would like to try out these square frames, you can download them for free (for personal use!) – click here. The download includes the five frame designs in the following formats: Silhouette Studio (.studio), PDF, DXF, SVG, and PNG. 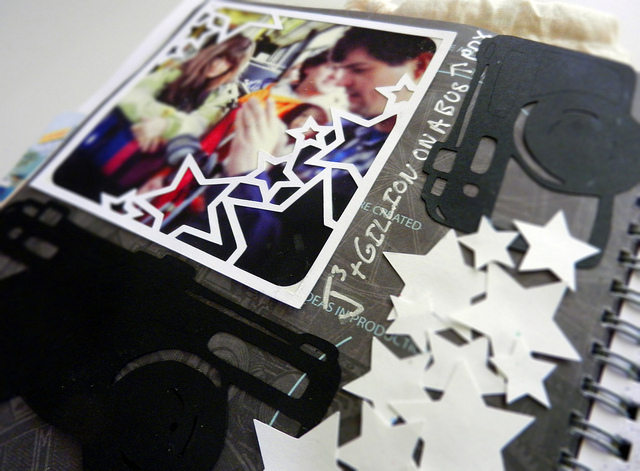 If you like to do digital scrapbooking, you can use the PNG’s as digital stamps! Enjoy! Stay up to date on my art projects, freebies, videos, tutorials and more by subscribing to my email newsletter. Get art updates from me, freebies and more! Love the frames, great for my scrapbook pages. Thank you so much. hoo merci beaucoup de ce partage !!! Merci pour ces fichiers. Je pense pouvoir faire de très jolis embellissements pour mes photos. These are awesome, thank you for sharing.